Hey guys, just posted our largest update ever. Here it is! Our first trailer for Battlefield: Korea! 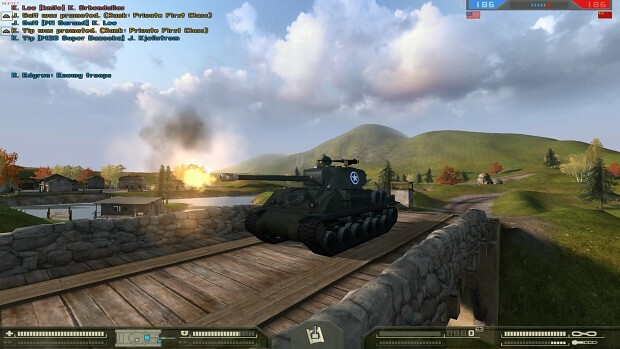 We have finally released Battlefield Korea after 11 long years of development! There are issues with the mod but we hope you can overlook them and just enjoy it for what it is, and see the potential in it. We will continue to polish it in the future, so we aren't finished with it yet! Anthony817 wrote: We have finally released Battlefield Korea after 11 long years of development! There are issues with the mod but we hope you can overlook them and just enjoy it for what it is, and see the potential in it. We will continue to polish it in the future, so we aren't finished with it yet! Thank you! I will add it to our latest patch so hopefully people can jump on and play! Thanks so much for this! EDIT: I downloaded the launcher but guess it isn't added to the list yet. I will await patiently. Just let me know on this thread when you added support to it and I will include it with the mod. Thanks. Hi, I just got your message on moddb. We tried to get servers up with the FHT guys, they actually hosted a test server for us a few weeks ago. There is an issue with the Mosin Nagant PU sniper rifle kit, not sure of the issue. If you edit that kit with a different bolt action rifle it will, or should start up. Some maps had issues as well, but if you can give snipers regular rifles on communist factions it should load up. EDIT: Wow love the launcher with it! Even the background image for the launcher is great! Have some issues though. Since FH2 CMP donated 3 tracked vehicles to us, namely the LVT's and Type 95 Ha-GO, FH2 uses some different way of rendering tank tracks than all other mods. So to make them display properly, we use a pre-generated shader cache from FH2, but the mod itself uses PR shaders, since we don't have permission to use the actual shaders from FH2, but the shader cache allows us to fix tracked vehicles texture issue. Not sure why this happens, I spoke with Stubbfan about how we could fix the tracks but other than re-exporting them or knowing what the material should be changed to it is kind of our only way to get around the tracked vehicles issue. In the folder for the mod, I have a folder labeled "!IMPORTANT SHADERS CACHE FIX! Read!" and inside this folder are instructions detailing how to manually replace the cache to fix the tracks render issue. Since this new launcher does it's own thing, not sure where or how to fix it. I wonder if we could make the launcher fix shaders for our particular mod by adding FH2 cache to the location our new cache files are stored with this launcher? Or alternatively, do you know any way we could make our mod load that cache instead by default from that folder inside our mod, whilst still using PR shaders? Also, I noticed the FOV and the HUD are changed. I like the FOV now with it, but the HUD is kinda broken looking. Is this something to do with the RFX option in the launcher? Additionally we have some issues with the control.con file, which is needed to be moved to BF2 documents to fix the LVT and LVCP Higgins Boat landing craft door ramp opening and closing. I am in the process of making a weapons balance patch right now to release in the coming week or so, so this would be a great time to try and figure out these issues before the patch so maybe we can get online working. Thanks for supporting our mod with the launcher.